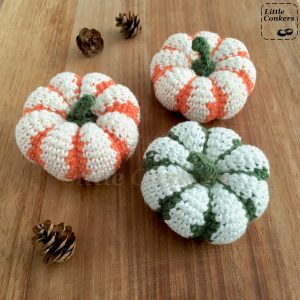 Here’s the latest addition to my Pumpkin and Gourd Patterns Series of crochet pattens: Striped Pumpkin Crochet Pattern. Read on for the pattern download links! 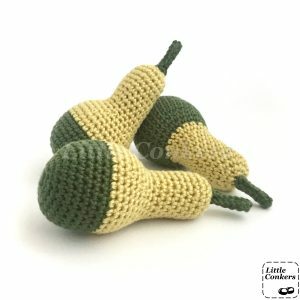 As promised, following on from my Warty Gourd Crochet Pattern published earlier this month, here is my Bi-coloured Pear Gourd Crochet Pattern #1. 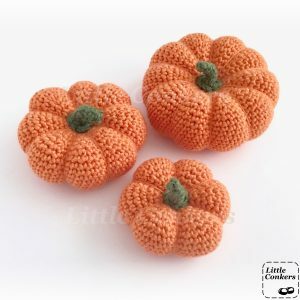 Following on from last week’s publication of my three Pumpkin Crochet Pattern (which has been more popular than I dreamed!) I am now publishing one of my other fun decorative gourd patterns – the Warty Gourd. 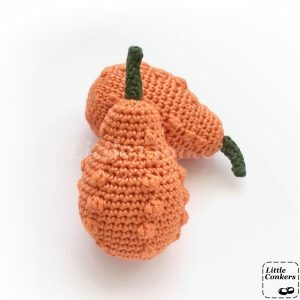 Just in time for October, I’m publishing the much-requested pattern for my mini pumpkin ornaments! This is the exact pumpkin pattern I use to create my own readymade pumpkin ornaments. 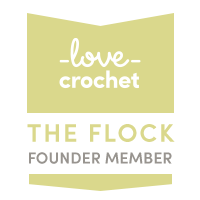 Scroll down for the pattern download links! 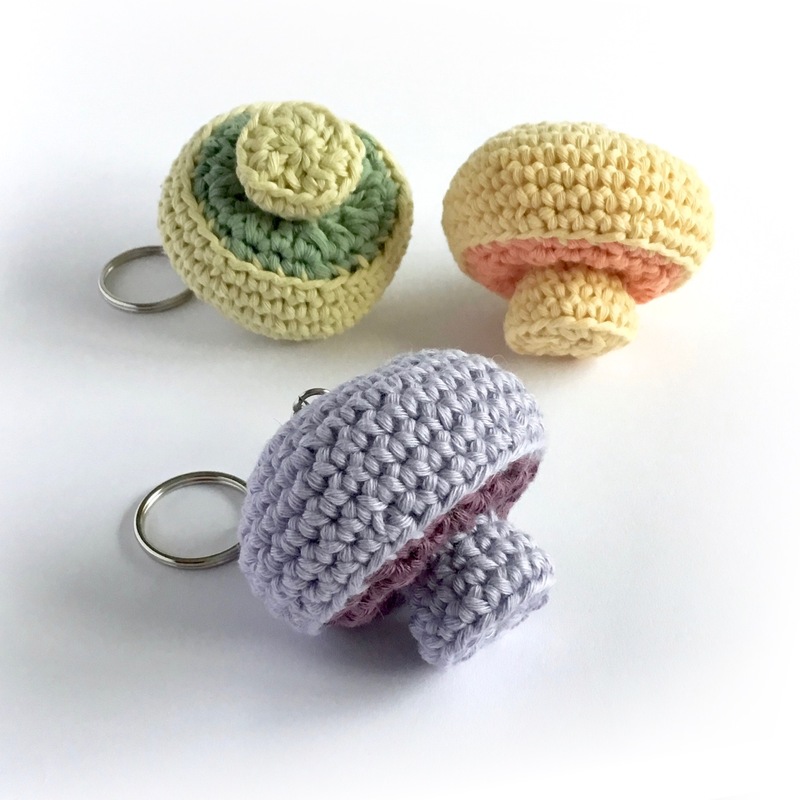 Today I’m adding something new to my range of eco-friendly gifts, these pretty pastel mushroom key rings. These new coloured mushrooms in purple, yellow and green, and my original natural mushroom are all made in 100% organic cotton. Those of you who have followed Little Conkers for a while will know that I have quite a history with crocheted veg, both ginormous and life-sized. 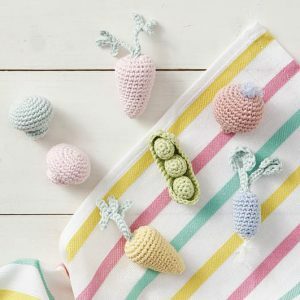 So finally, of course, I had to make some mini crochet vegetables!